Lukasz was introduced to TFAS in 2005, when he participated in the program in Prague with the help of a scholarship granted to him by the Rosenstiel Foundation. In 2006, he also received the Rowny-Paderewski Scholarship; he traveled to Washington, D.C., that summer to participate in the Institute on Business and Government Affairs (IBGA). While in D.C., he interned in public affairs at Eastman Kodak. 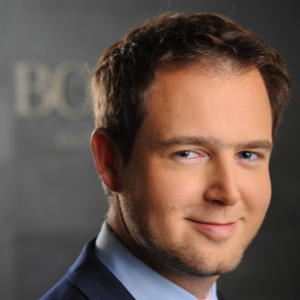 Lukasz currently serves as a manager at The Boston Consulting Group. He received a master‘s degree in international business from Singapore Management University, as well as a master’s in finance and banking from the Warsaw School of Economics. He recently moved to Boston, Mass., with his wife, Inga Rey, who was his TFAS classmate in 2005. His interests include traveling, scuba diving, sailing, horseback riding and studying economic history and capital markets.